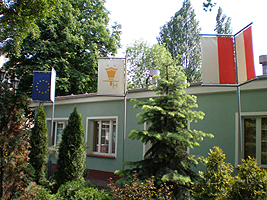 We are ideally located in the city centre Poznañ, in the enclave of silence and green, close to the Poznañ International Fair as well as bus and train stations. We put a convenient car park at disposal of our guests. 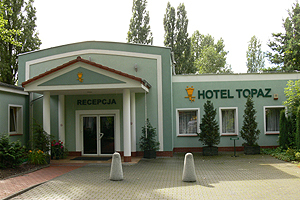 The hotel is in conjunction with attractiveness of its location an excellent place for organization of conferences, trainings, banquets and parties. 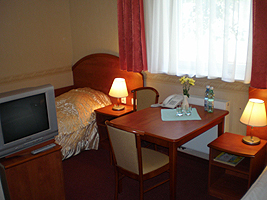 We offer single, double and 3-persons bed rooms with bathrooms, TV-set, telephone and Internet access. The hotel features conference rooms, which can seat appropriate from several to 150 people. Audiovisual equipment is available. 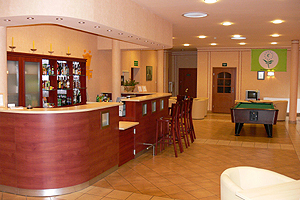 The hotel organizes trainings, meetings and conferences and provides coffee breaks, breakfasts, dinners and suppers. The hotel has experience of many years in organization of parties, banquets and other events such as weddings, meetings for the companies, anniversaries at the requests of the customers. Guarantee for Quality and Ecology of our services is certificate for Integrated Quality, Environmental as well as Work Safety and –Hygiene Management Systems in accordance with requirements of the following standards: ISO 9001, ISO 14001, PN-N-18001 and ISO 22000 as well as certificate for EU Ecolabel. The Hotel is 1 km away from the city centre, 800 m away from the main railway station and 300 m away from the main bus station. The airport is 5 km away from the hotel. One can reach the hotel by bus no. 71. From the main railway station: one must follow Towarowa street, then turn right in to Przemyslowa street (total distance is 800 m). From the airport: Bukowska street, Roosevelta, Towarowa to Przemyslowa.